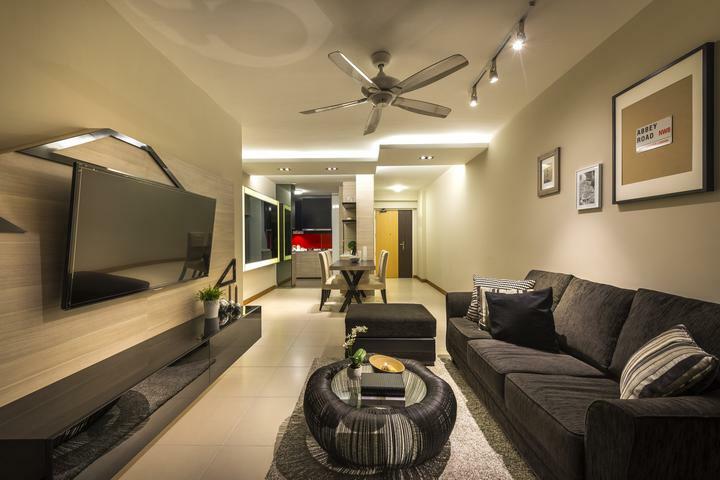 When it comes to apartments in Singapore, most people don’t usually associate them with a spacious interior. Thankfully though, we’ve learnt to get creative with interior design. 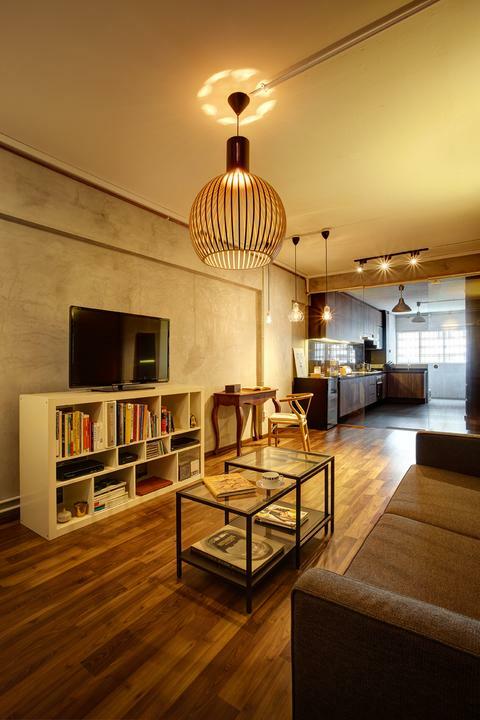 Here are some tips and examples on how to make your HDB home look bigger than it really is. 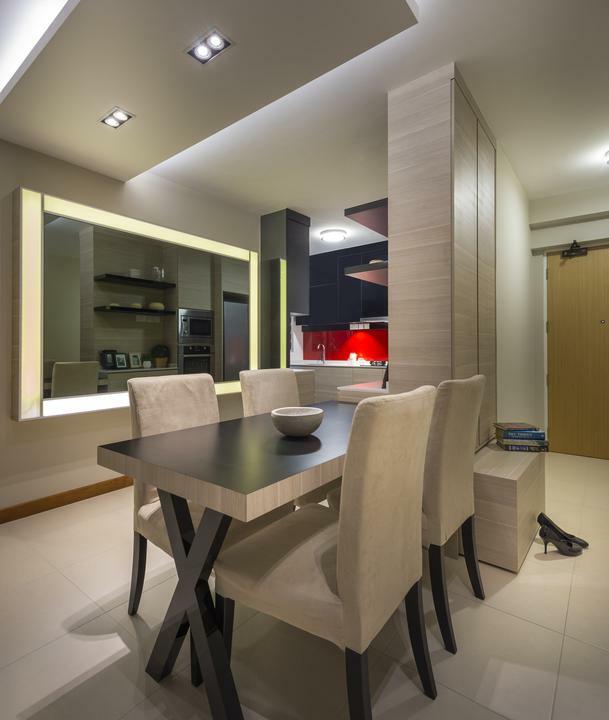 With smaller HDB flats, the living and dining room are usually in the same area. Decide on which is more important to you – a bigger dining area for family meals, or a more comfortable living room to hang out in? From there, you can roughly determine what sort of furniture you want and how much space you’ll need for the living and dining area. To save space in your dining area, try a bench-like dining table like the one in the picture above – it takes up less space than a round one and can usually seat more. If your living room and dining area have similar themes, use a rug or carpet to demarcate your living space and give it more visual presence. 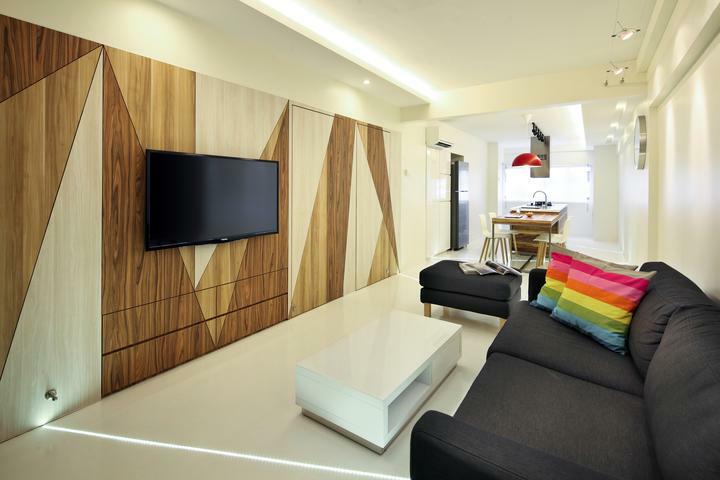 Just because you have a 2-room flat, it doesn’t mean that your living space has to be cramped and messy. 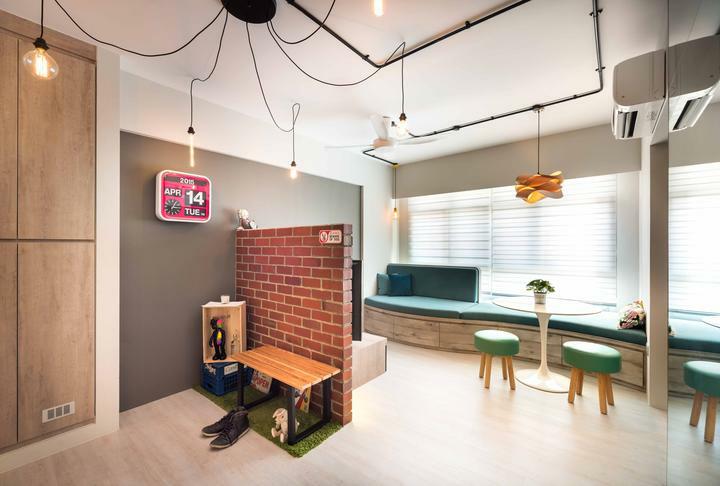 This cozy apartment in Pasir Ris used a short brick wall to separate the living and entry area, without making the space look closed up or cramped. 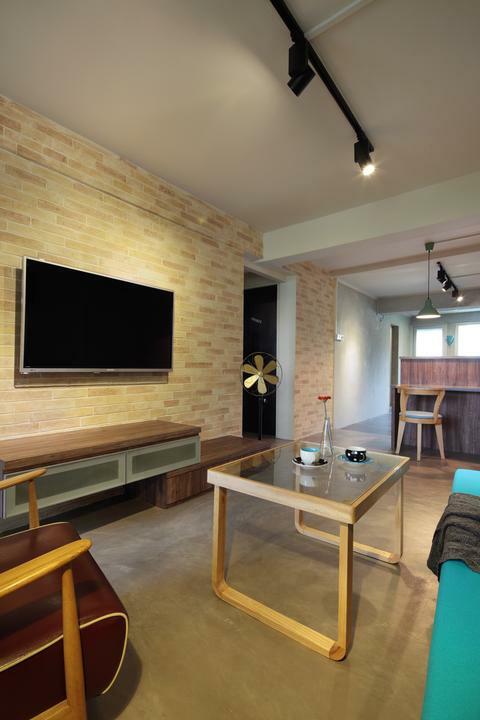 The brick wall, which has a shoe bench on one side, also doubles up as a backing for the TV in the living room. The dining area is kept simple, with a tidy table and stools placed strategically near the living room couch for more seating space. The kitchen has sleek interiors with neutral-toned walls and shelves (we love the hanging dish rack above the sink – saves so much space! ), which give it a more updated look. The use of glass doors also helps to open up the space aesthetically. 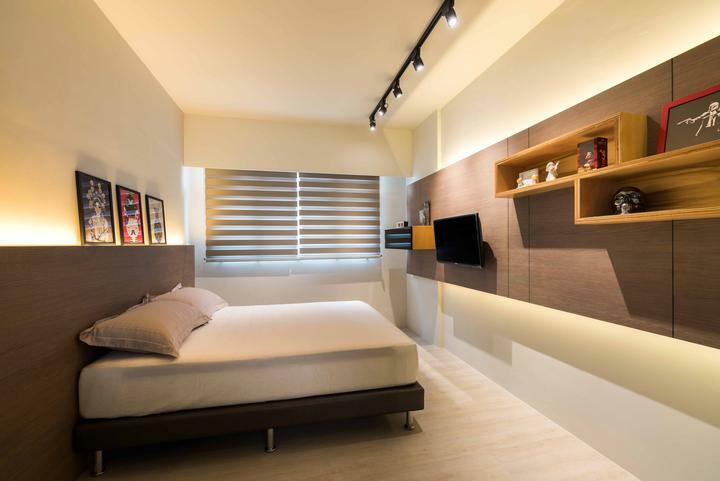 For the bedroom, the owners kept the furniture simple and sleek. 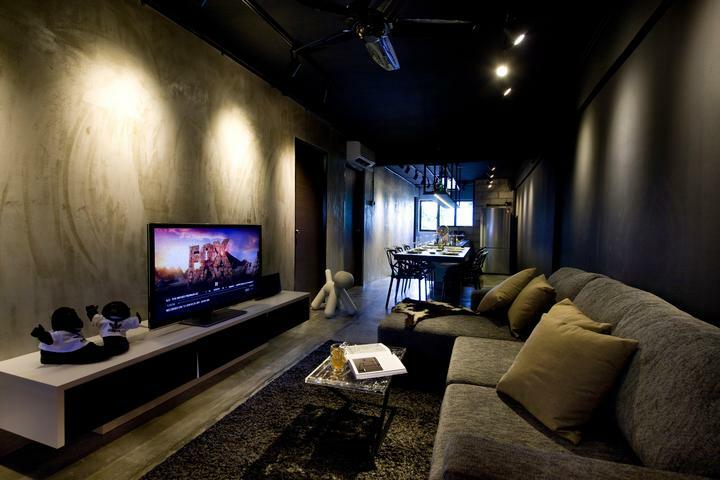 To create more space around the bed, the TV was attached to the wall instead of on a bulky console. 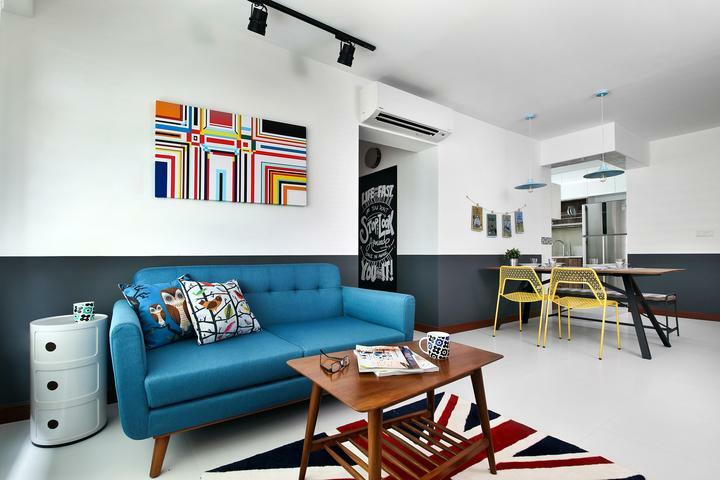 This 4-room flat in Sengkang has a clean, understated look that keeps things neat and classy. Sometimes, less is indeed more. The neutral hues of the walls and furniture visually open up the space, while also giving it an airy feel. Simple, but well thought-out. 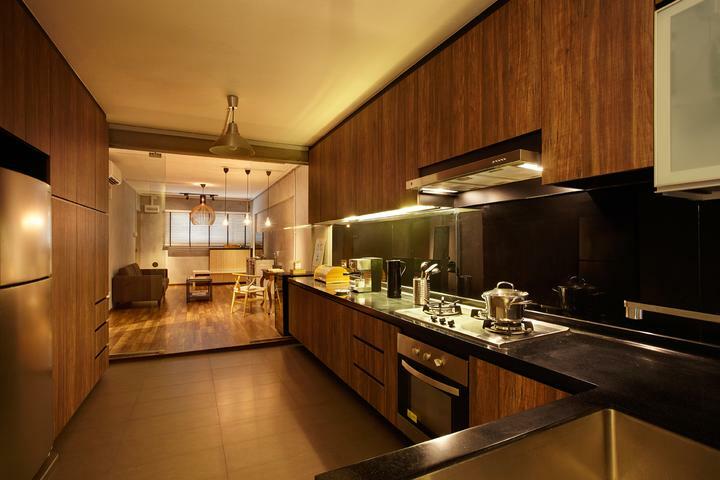 The kitchen too, is in line with the clean and understated concept of the living and dining area. 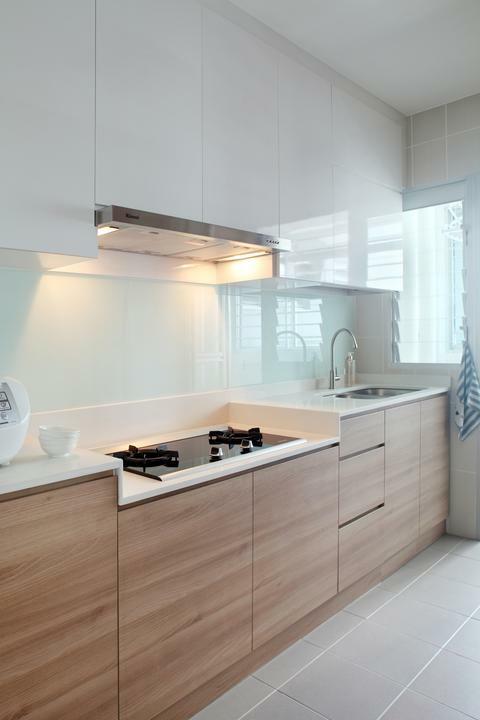 White cabinets line the walls, complemented with light grey tiles and a glass wall behind the sink. Living spaces tend to look more spacious when there is an open concept with little or no dividing walls. 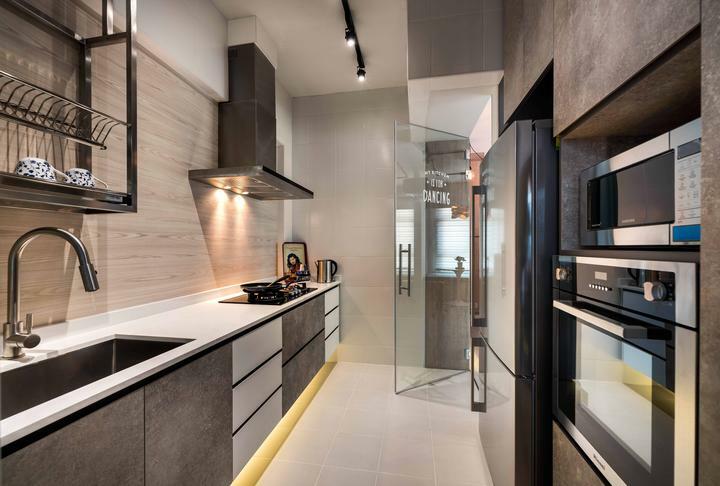 Some homeowners may choose to hack through a dividing kitchen wall to create an open kitchen that connects to the living room, while others prefer to keep the wall as it is ( to contain any smells from the kitchen). It’s really a personal preference, but if you want the best of both worlds, perhaps you can look into a sliding door of sorts. If you’re the sort that loves having guests over for dinner, look into getting an extendable dining table – it will save you space and your guests can dine in comfort. 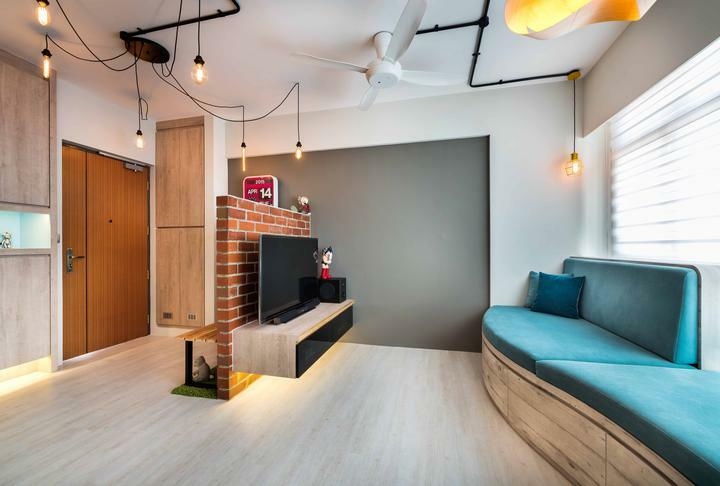 Industrial-chic themes can look quite bare and cold, but this home in Serangoon manages to pull it off with some thoughtful features. The use of a full-length mirror on one side of the wall gives the illusion of a bigger room, while also creating more mix of colour in the living area. It’s also convenient to have, since you can check yourself out in the mirror before leaving the house (don’t lie, you know you do that). 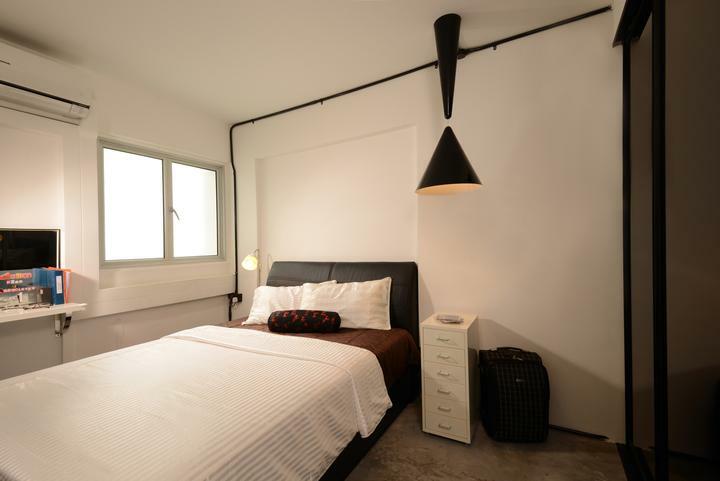 The monochrome furniture goes well with the industrial-chic theme, and also gives the place a more contemporary vibe. Anyone for a retro-themed home? 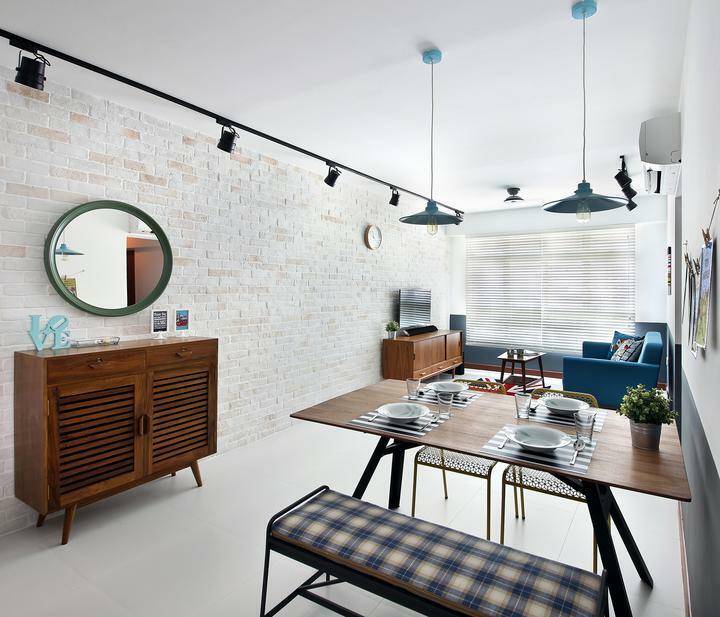 We love the brick-tiled walls in this 2-room Marina Crescent apartment, which add to the atmosphere without looking too busy. 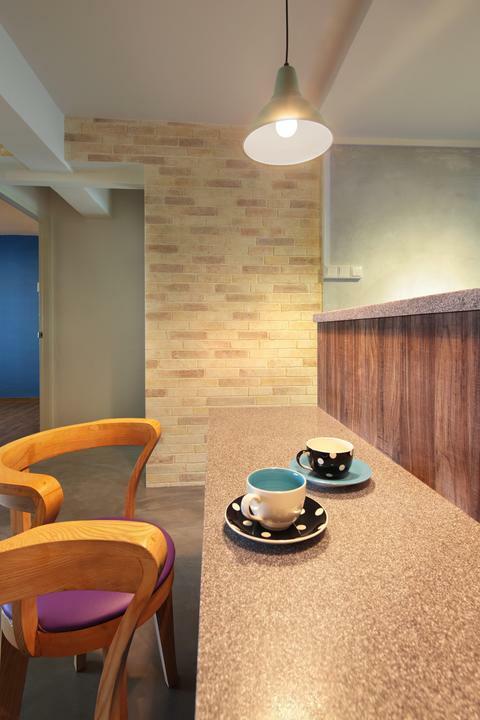 Overlaying tiles on the walls to create a brick effect is nice, but it can get pretty expensive. If you’re on a budget, consider doing the overlay on part of the wall, rather than the whole wall. After all, you can always use furniture to block the parts that aren’t tiled. 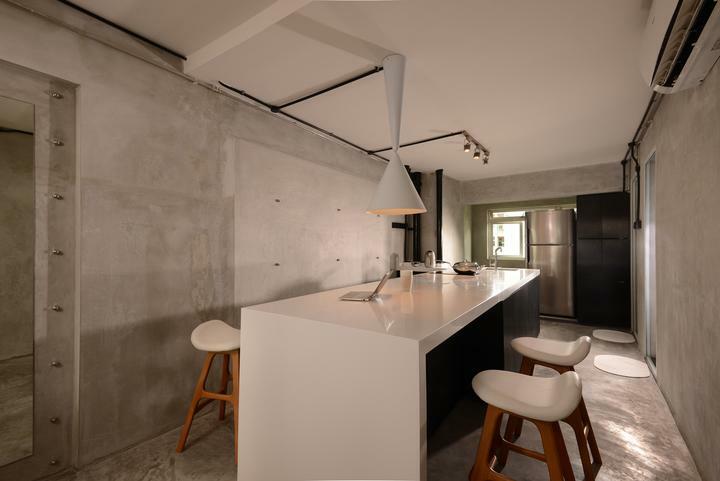 If you’re not the type to eat your meals at the dining table (read: laptop + couch + coffee), then this space-saving bar counter might be better than a conventional dining table. 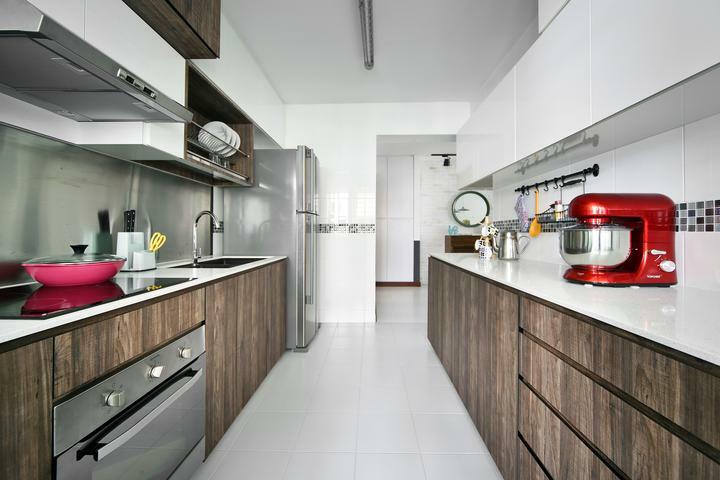 This home in Punggol Place is another good example of an open concept, where there are no walls dividing the kitchen and living room. See how spacious it looks? The dining table is also placed strategically against the pillar (as opposed to in the middle of the room), which helps to streamline the look of the apartment. 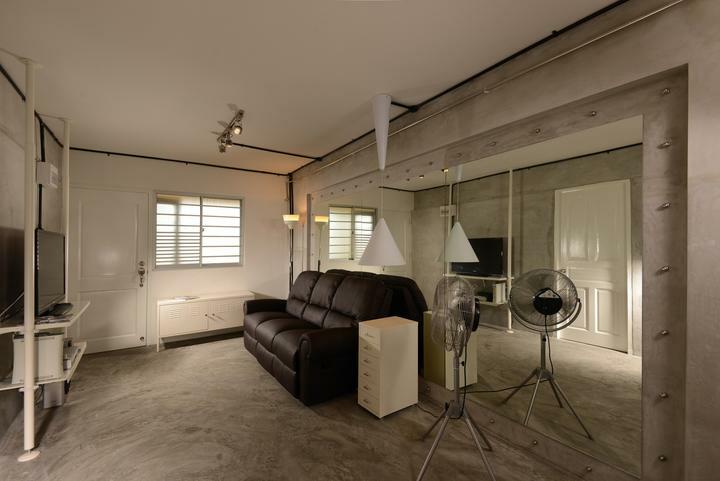 The mirror on the wall also helps to create an illusion of a bigger room. 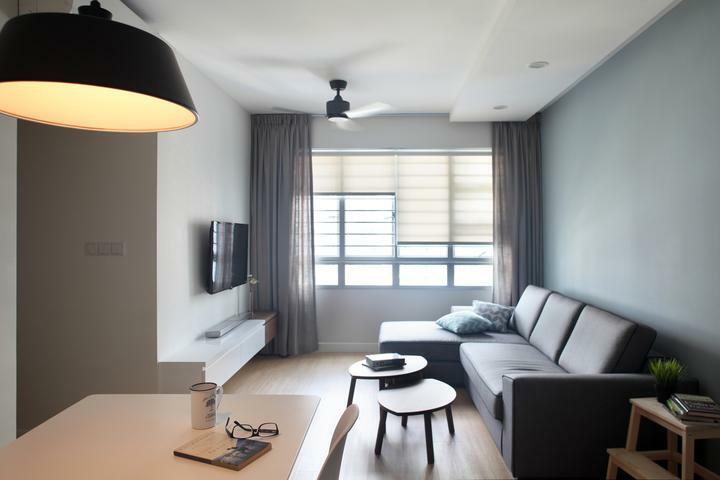 Dark colours can make spaces look smaller than they actually are, but this apartment in Upper Serangoon still manages to look spacious. 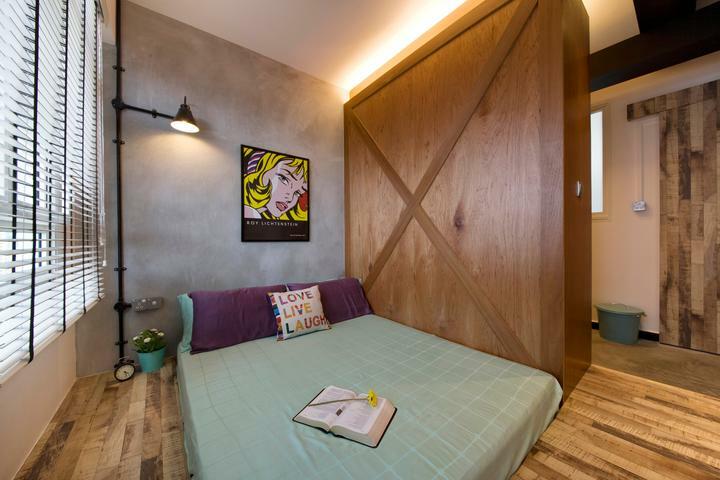 A large part of this is due to the lack of dividing walls, which creates an illusion of depth. 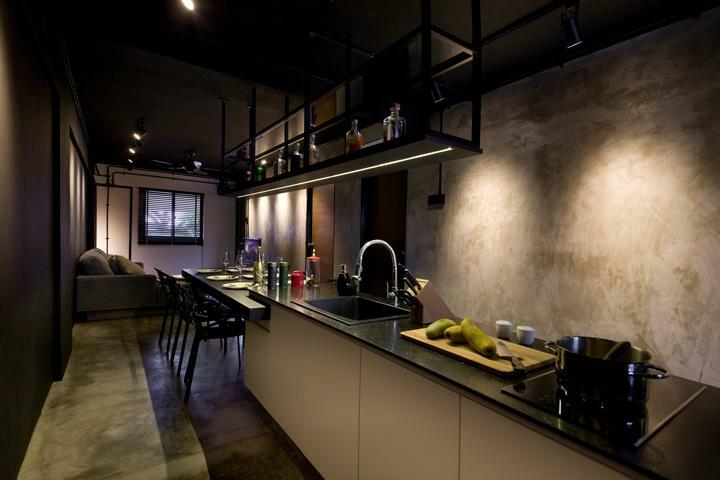 The first thing we noticed about the kitchen was the suspended rack above the sink. Racks may not store as much as conventional cabinets, but they do look more open than bulky shelves or cabinets. If you don’t want to (or can’t) suspend your TV onto the wall, another way to save space is to place it on top of a book shelf. You can store more in a book shelf than a regular TV console – and hey, visitors will think that you’re a real intellectual too, no? 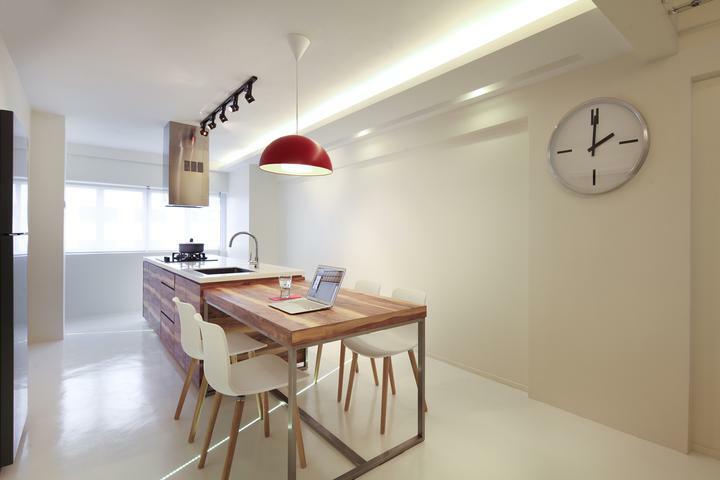 Can we also take a moment to marvel at how spacious this kitchen looks for a 2-room flat? 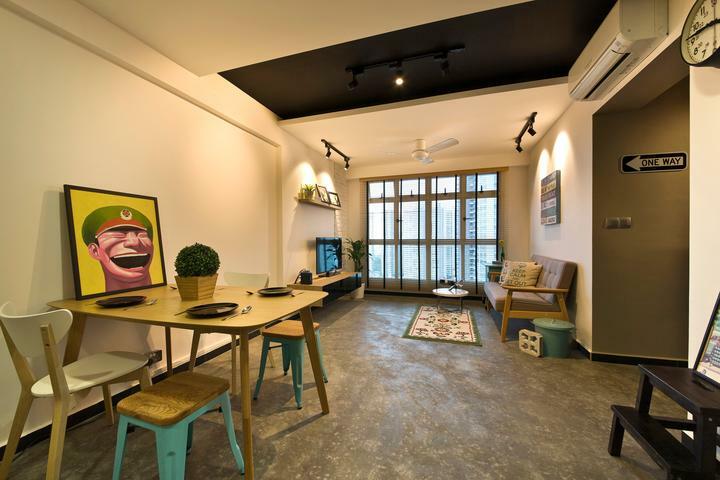 This apartment in Boon Tiong has an interesting ceiling – instead of your usual even ceiling, they’ve done an elevated black panel in the centre which makes the ceiling look higher. If you want to create a walk-in wardrobe but don’t have an extra room for it, a good way is to use a large cabinet to demarcate an area in your room. It may not be a whole room, but it can still be transformed into a mini walk-in closet area. For more information and photos of the homes above, download the Qanvast app (available on iOS or Android). 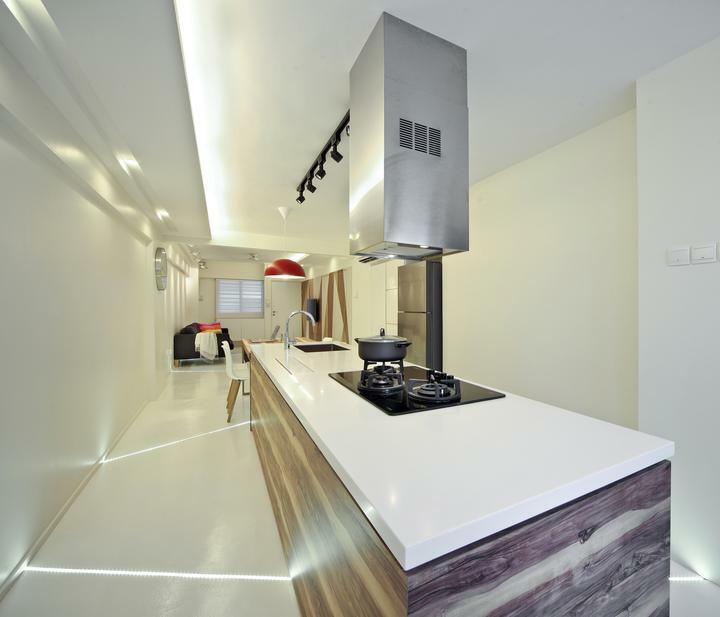 Hi, I have a 3 room HDB flat at Jalan Bahagia and I am interested in the kitchen pictured at Sengkang West. Could you tell me how do I go about a renovation and a quote? do you do partial renovation ?